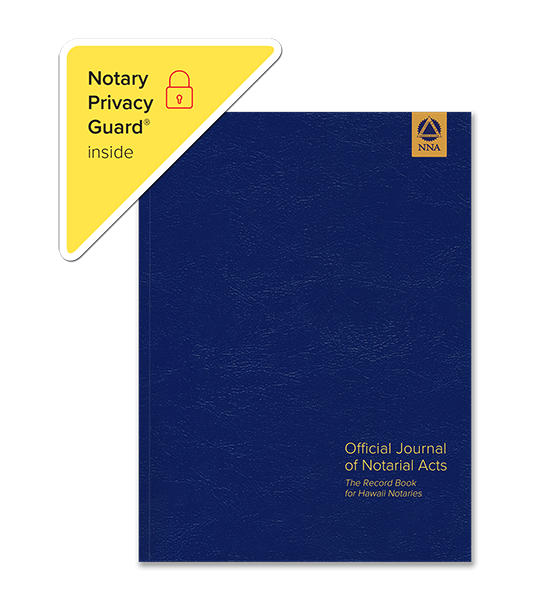 Now comes with a Notary Privacy Guard®. 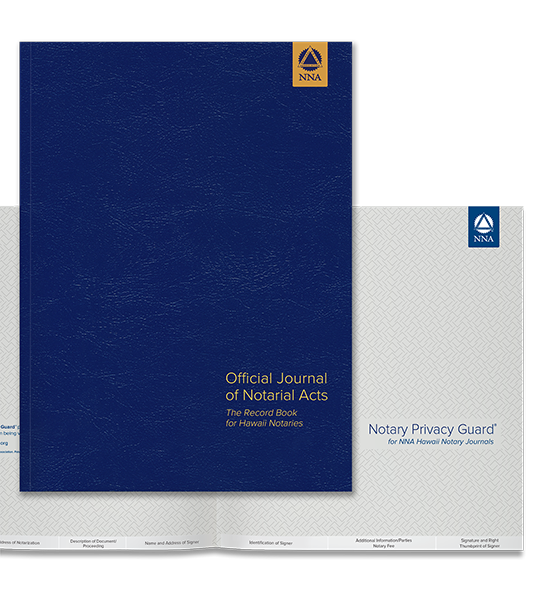 This softcover Notary journal meets size and information requirements outlined in Hawaii Administrative Rules. Features a tamper-proof, Smyth-sewn binding for long lasting durability and security. 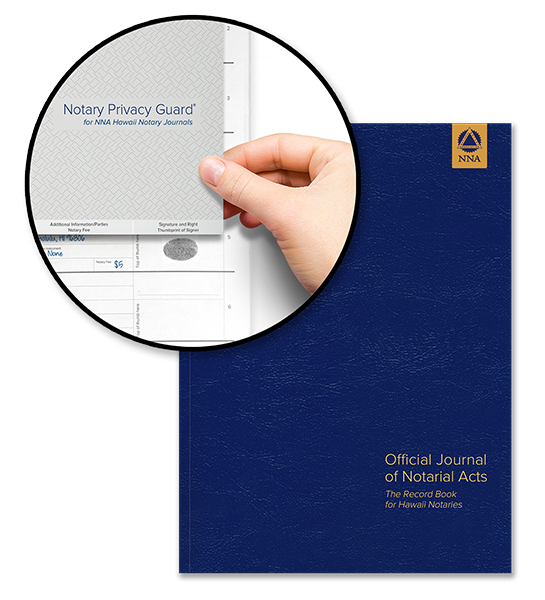 Step-by-step, illustrated instructions make it easy to record your notarial acts with room for 510 entries. We're sorry. 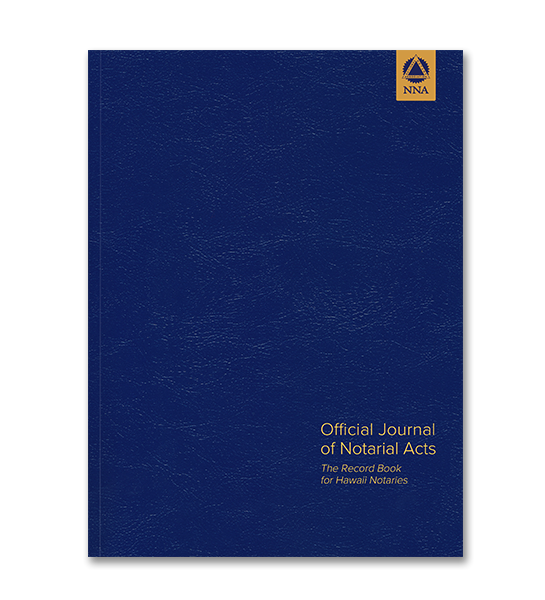 Basic Hawaii Journal is not available for use by Notaries in Virginia. If the chosen state is incorrect, you may change your state at the top right of the page.